The project was born in Cuzco in the summer of 2001. A group of Catalan businessmen decided to develop and market a natural coca leaf drink, taking advantage of its organoleptic and nutritional properties, in order to introduce in the market a natural product, different, daring and at the same time "socially engaged". We began a collaboration agreement with peruvian government company called ENACO (National Coca Company) which controls the production and marketing of coca leaf in Peru, studing in detail the existing international law, being the plant in question wrongly considered as a narcotic. We signed an agreement between the company RFD (Royal Food & Drink) and ENACO, for the development, production and international marketing of drinks using an extract of coca leaf. 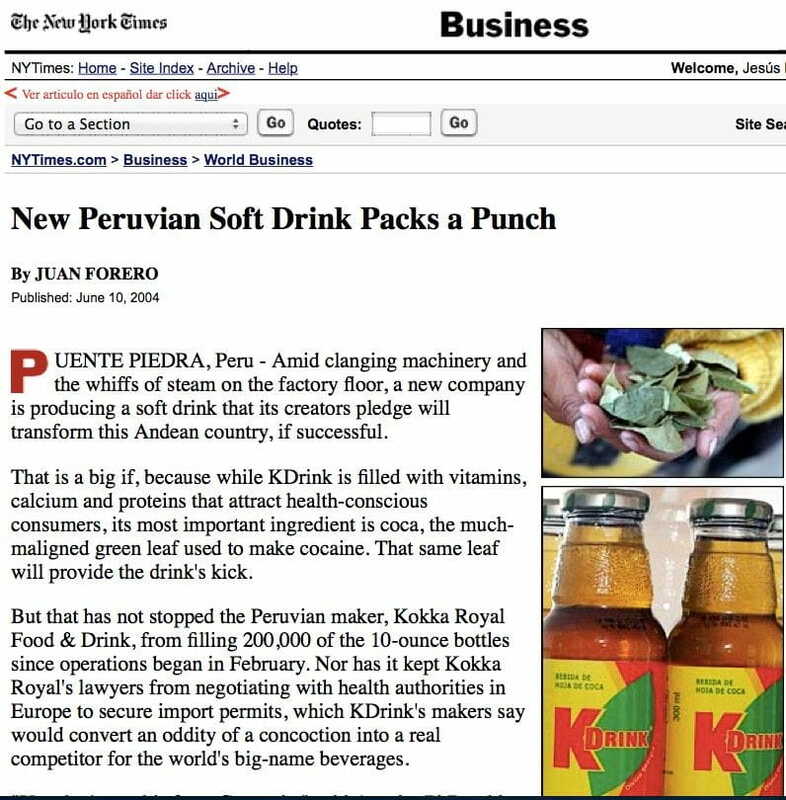 The Peruvian subsidiary of RFD, launched in February 2004 in the Peruvian market Kdrink. Initially marketed as "Kokkadrink". In 2005, the company decided to redefine the product in order to sell in the International markets, moving to Europe research and new product development.